This week will be 10 years. 10 years since the scariest week of my life. 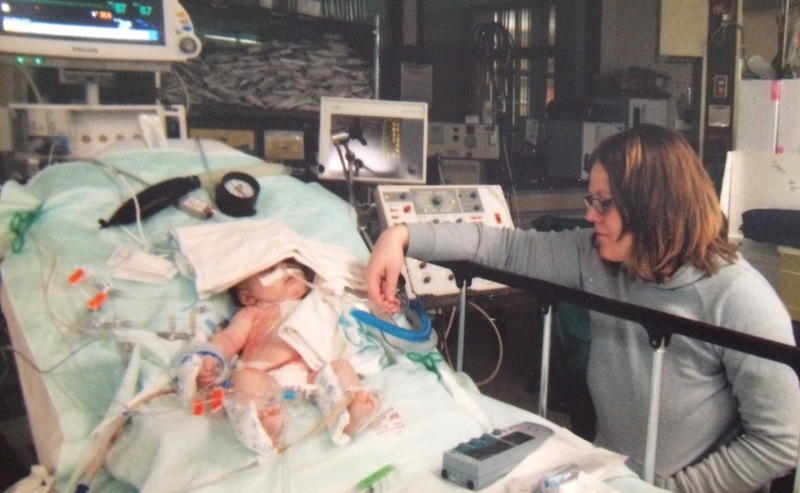 10 years since I prayed and plead with God to see my baby through his surgery and that there would be no complications. I was a young mother, just 24 years old and my firstborn was just a month old – in my eyes he was perfect! He was a cute ball of perfection – eating well, and sleeping well, and to the naked eye there was nothing wrong with him. But all that changed with the words “there’s a freight train going through your sons’ chest – we need to check that out”. It was then how I saw how doctors and nurses and our healthcare system, here in Manitoba and Canada, can come together and move quickly. There was a flurry of appointments and within the week we knew that our prefect baby boy was actually in congestive heart failure and needed a VSD repair done. But you – my boy – were a fighter and a charmer from day one. You smiled at the nurses and were so well behaved through all the appointments. You had been living with a hole in your heart – and even the experts said that you hid it well and from the outside you looked “normal” and you showed no signs of your broken heart. Fortunately , we live in Manitoba and we have the Variety Children’s Heart Centre. They provide so much for those families that have to deal with heart problems! 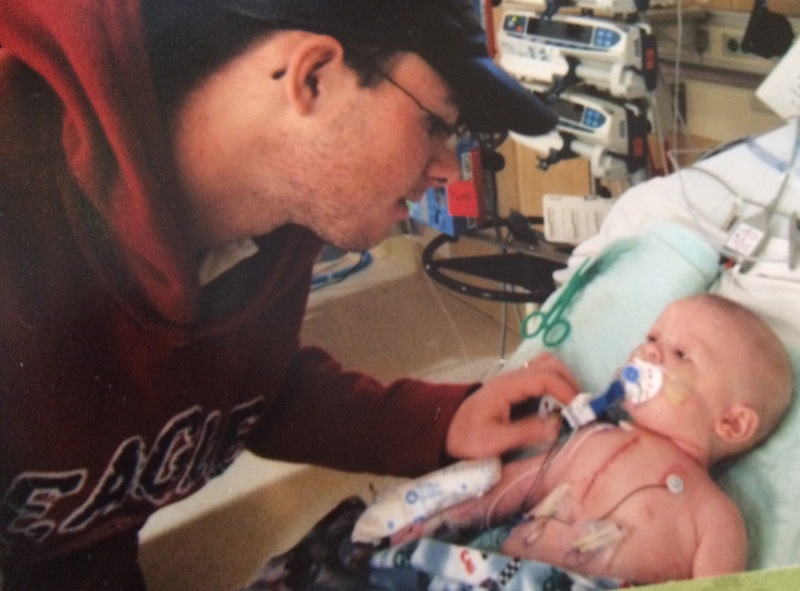 We didn’t have a pediactric surgeon in our province – but Alberta did. The Variety Centre took care of our flights and accommodations- and I learned later on that not every province has the support that we have. So we waited for the call to go and get your heart fixed! And it came in January of 2007 – you had a surgery date January 21st. 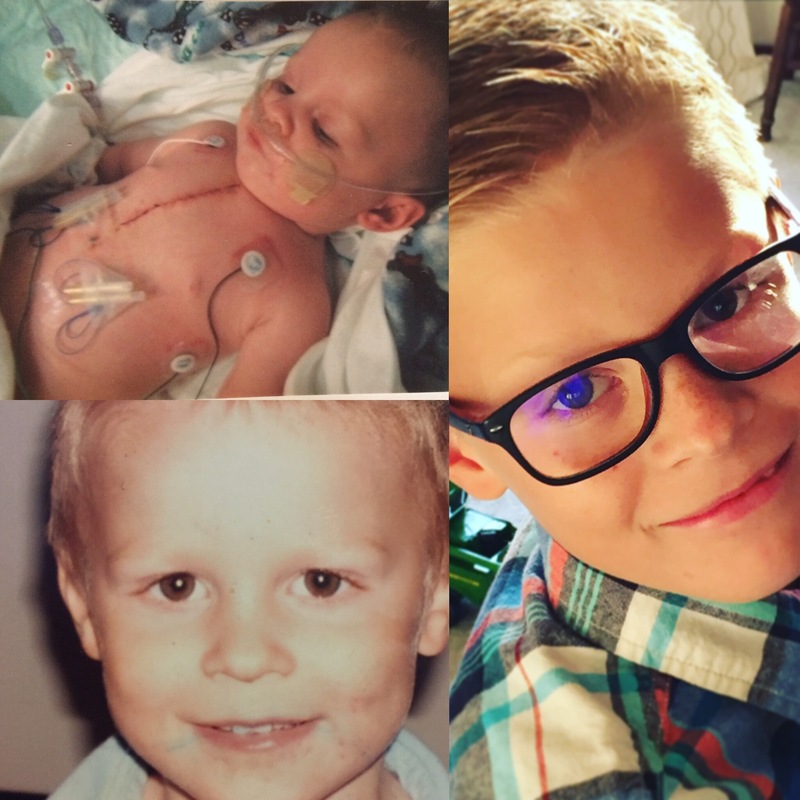 So off we went – your first plane ride was to Edmonton to visit the Stollery Children’s Hospital – one of the very best pediatric hospitals in all of Canada with some of the best pediatric cardiologists in the nation. There we were – me, your dad (who drove up while we were flying), grandma and you. Your dad and I were young, first time parents -and there was no “what to expect when your kid has congestive heart failure” books to read. There was, however, numerous pictures and stories of those who had gone through what you were going through – and had come through the other side and those who hadn’t. Looking back I was so calm – maybe because of shock – but I knew – I knew deep down that you were going to be ok. You came from a long line of stubborn people who fought through numerous adversities and this situation was going to be no different. You – my son- are a fighter and it was in your blood to fight this. I held you as they put you to sleep for your surgery and it was then and only then that I cried. The nurse walked me out of the room where they were going to fix you and told me that you were in good hands. But I knew that. Dr. Ross is one of the best there is – but it wasn’t just him in that room there was a team of qualified medical professionals working on you. And outside that room was an army of people who were praying and sending their thoughts your way. I knew my baby was not only in the hands of a great doctor – but the Great Physician who is in control of all things. We are so thankful for you Johnny!